Beautiful window displays are works of art. There’s so much promise beyond the glass — of tales in faraway lands, of connections with characters, of adventures waiting to be explored. 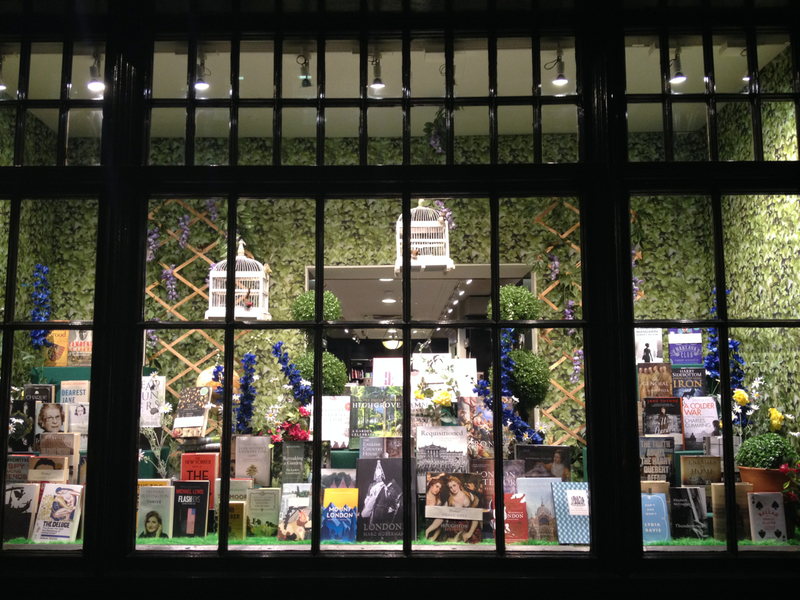 Hatchards bookshop created a feast for the eyes. This whimsical garden makes me want to dive into my reading list. Here are some great stories that I’ve encountered as of late — a mix of novels, newsprint and the odd podcast. 1. Invisible Child — An incredibly moving, in-depth look at the life of a homeless girl in Brooklyn. 2. Crazy Rich Asians — An entertaining read about the absurdly extravagant lives of Singaporeans. 3. The Crimson Petal and the White — Charles Dickens meets HBO. 4. Gone Girl — A page-turner that’s perfect for beach getaways. 5. Everything is Perfect When You’re a Liar — Hilarious. Period. 6. Eleanor & Park — A poignant, memorable tale of teenage love. 7. Serious Men — Next novel on the list. 8. Serial — A highly addictive podcast that looks into the murder of Hae Min Lee in 1999. Hae’s 17-year-old ex-boyfriend, Adnan Syed, was arrested for the crime, and within a year, he was convicted and sentenced to spend the rest of his life in prison. Serial uncovers a more complicated story.